It’s Sunday so it must be time for . . .
Oh, what a hard question! I don’t really have one favorite, so I will just name the first favorite to come to mind: The Runaway Bunny, which I like even better than Goodnight Moon, a more famous book by the same author. This way of showing a mother’s love is SO much more appealing to me than sappy things like I’ll Love You Forever and its ilk. I wrote about other favorite kids’ books here. Not on a grand scale. I avoid Nestle products as much as possible due to their flouting of the WHO code regarding advertising of formula in Third World countries. It’s not making any difference; I know that–it’s about me, not them. I love it and am so happy that low carb eating allows it after I have spent my life avoiding it and feeling guilty about the fat content. Three, which were purchased for me by my son Teddy a couple of years ago, I think for my birthday. Before that, the last pair I had were blue and I purchased them at Cracker Barrel in 1986. I had them till the house burned down. I’m not really sure but the embarrassing truth is probably 14 years. I know it was before William was born. We don’t have dental insurance, and I don’t get cavities, so it hasn’t seemed like a priority, especially since I brush obsessively several times a day and even in the middle of the night. I plan to add a dental plan next year now that we are used to paying a monthly health insurance premium. First choice, Vatican City. Second, Lourdes, where I have already been with my grandmother when I was 17. 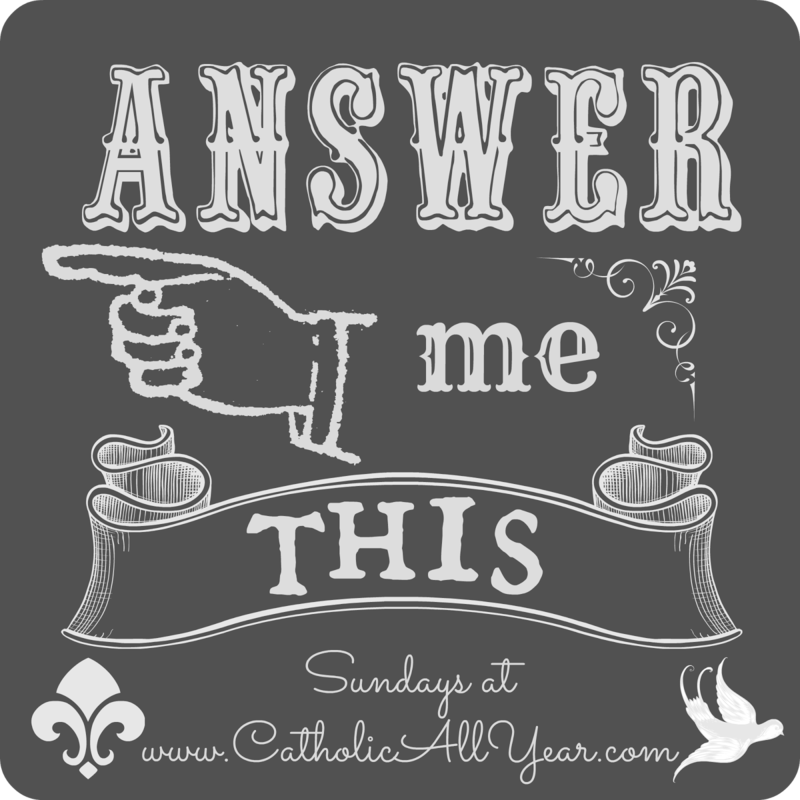 For more fun answers, check out the linkup at Catholic All Year!